Twelve years ago, coach Dave Rose’s BYU basketball team took on No. 5 UCLA in a highly anticipated season opener. The Cougars pushed the Bruins, who were led by Russell Westbrook, Nick Collison and Arron Afflalo, to the limit before fading late in an 82-69 loss. 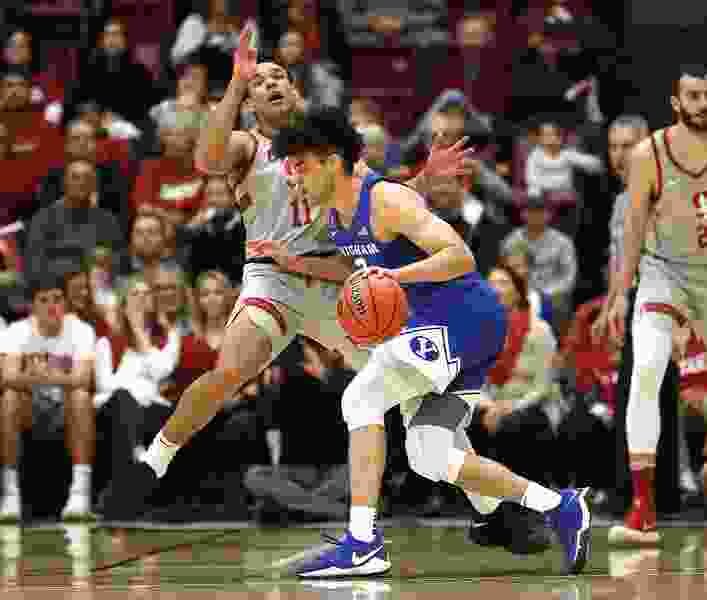 For the first time since that memorable lid-lifter at famed Pauley Pavilion against a team that eventually made it to the Final Four, the Cougars will open a season against a preseason top-10 team. BYU meets Nevada, No. 7 in the AP Top 25 and No. 9 in the USA Today Coaches Poll, on Tuesday at 9 p.m. MT at Lawlor Events Center in Reno. At least, the NCAA tournament selection committee will look at them differently, the Cougars hope. That’s why Rose set up the “Quadrant 1” game in the NCAA’s new classification system, hoping to take advantage of Nevada’s top 25 RPI and status as a program on the rise after the Wolf Pack made it to the Sweet 16 last March before falling by a point to Loyola Chicago, the tournament Cinderella. Nevada will return the game in Provo within the next few seasons. The risk is small. The reward could be great. Nevada coach Eric Musselman’s team is a popular pick to make it to the Final Four, and expectations have never been higher at the Mountain West school. Twins Cody and Caleb Martin are back from a 29-8 team that won the regular-season conference title for the second-straight year. They tested the NBA draft waters but decided to return and chase an NCAA title, and Jordan Caroline is also a conference player of the year candidate. Expectations heightened when the program added Jordan Brown, a 6-foot-11 McDonald’s Prep All-American from Roseville, Calif.
Nevada trailed San Francisco State 39-38 at halftime in an exhibition game last week, but outscored the visitors 47-21 in the second half. Caleb Martin led the way with 19 points, while Cody Martin had 15 and senior Tre’Shawn Thurman chipped in 15 off the bench. Graduate transfer Trey Porter had 14 points in 14 minutes. At Lawlor Events Center, Reno, Nev.
About the Wolf Pack • They begin the season ranked No. 7 in the preseason AP poll, their highest ranking ever, and are a popular pick to make the Final Four after making it to the Sweet 16 last season. … Seniors Caleb and Cody Martin, twins, elected to return to Reno after testing the NBA draft waters last spring. Jordan Brown, a 6-foot-11 freshman who was a five-star recruit in some publications, is expected to start. About the Cougars • Coach Dave Rose enters his 14th season having led them to 13-straight 20-win seasons and a postseason appearance (NCAA or NIT) in each of his previous 13 seasons. He is second all-time in BYU history in wins and first in winning percentage. … Junior F Yoeli Childs is a preseason All-WCC selection and averaged 17.8 points and 8.6 rebounds per game last year. … TJ Haws, Jahshire Hardnett, Zac Seljaas and Luke Worthington are expected to round out the starting five.